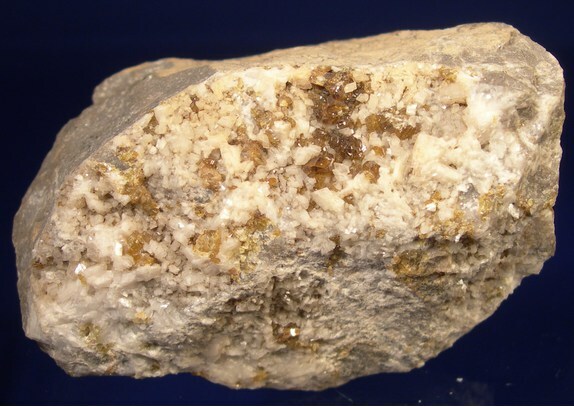 Comments: Honey blende crystals in vuggy quartz conglomerate is occasionally found. 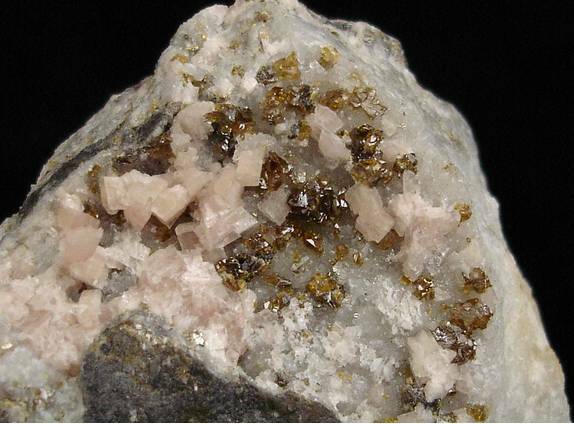 Dolomite ⓘ11 photos of Sphalerite associated with Dolomite at this locality. 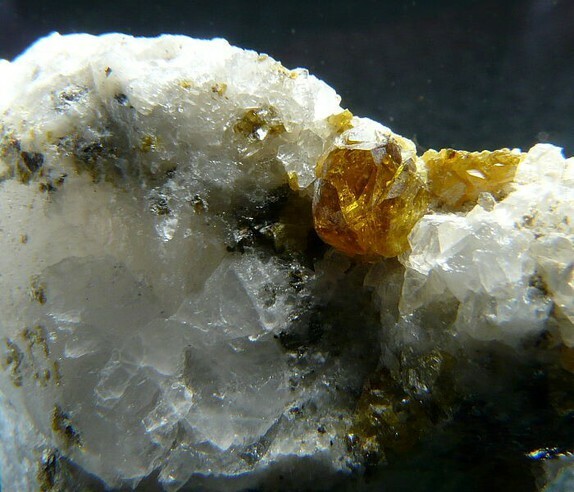 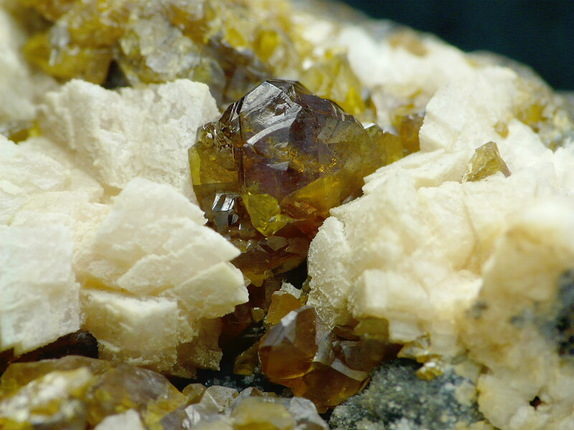 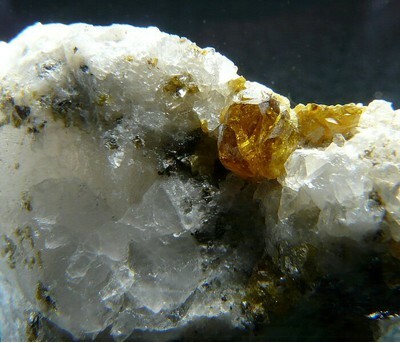 Baryte ⓘ1 photo of Sphalerite associated with Baryte at this locality.